Summer is rapidly approaching and, as it does, things are both literally and figuratively heating up! Planning on being in the area this spring? 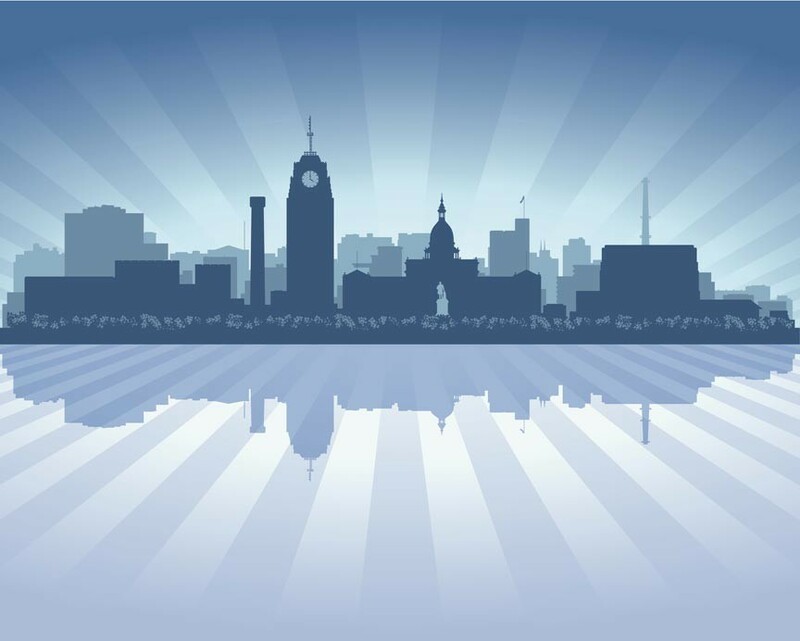 You’ll be happy to hear there are plenty of Lansing Michigan events planned near our Eaton Rapids inn! Last time out, we talked about all the great antique-shopping opportunities near The English Inn. As I’m sure you already know, that’s not all there is to in our area! While it’s true that Eaton Rapids is smaller and more remote than Lansing, that’s the appeal! Our home, on the historic Medovue Estate, is a calm oasis of manicured gardens and old world splendor along the Grand River. A soothing contrast to Lansing’s endless hustle and bustle. 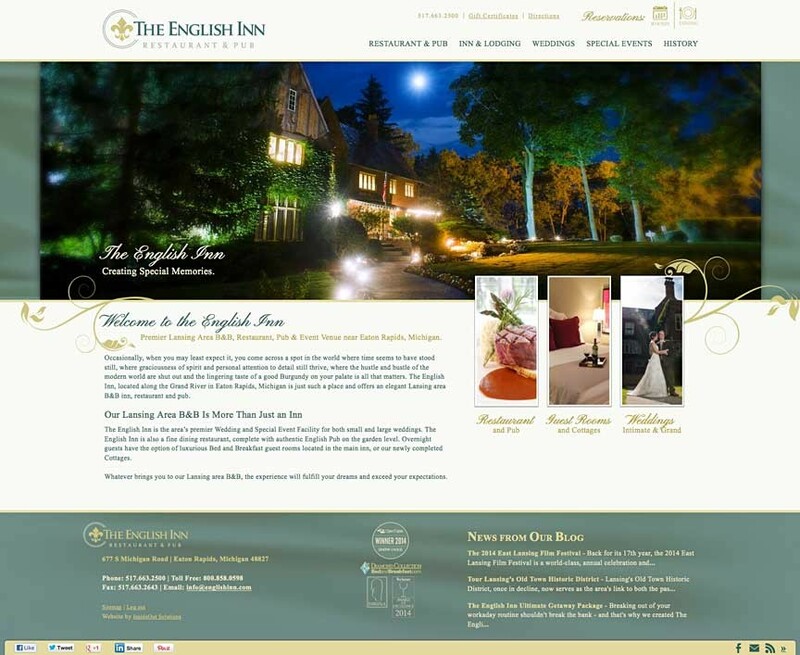 A New Website for The English Inn, Restaurant and Pub! You may have noticed things looking a little different on the site of late – that’s because The English Inn, Restaurant and Pub has a new website! The English Inn, Restaurant and Pub is a historic business but, along with respecting and preserving the Medovue Estate and the luxurious, yesteryear experience a visit or stay here can provide, we also aim to keep things up-to-date: a perfect marriage of the best of the past with the best of the present, in other words. A website is part of that and we knew we were looking a bit dated. Our last site had served The English Inn, Restaurant and Pub well and long – but it was time for a change. We wanted a site that worked well with present technologies, had the flexibility for a lengthy lifespan, and one that more accurately represented the present face of our business – and we feel like we got that in spades! For our visitors, this means a website that works to fit seamlessly into the screen you’re viewing it on, no matter whether that’s a brand new, 29″ flat screen on your desk or a smart-phone display in your palm. In the case of the latter, so much for squinting and waiting ’til you get home to peruse our site: our new website is surfable wherever and whenever. Enjoy live music on Friday and Saturday evenings in East Lansing. Spend a day browsing the shops of East Lansing the next time you stay at our Lansing Michigan Bed and Breakfast. The largest used book shop in the state is located in East Lansing. It’s easy to lose yourself for an entire day in the Curious Book Shop, three stories of books and vintage magazines. It rivals Powell’s Books, in Portland. Flat, Black and Circular is the place to go to find new and used CD’s, DVDs, and vinyl records. Visit the Record Lounge for a wide selection of local music. Kirabo Fair Trade showcases a wide variety of items from more than 30 countries: jewelry, clothing, toys, home decor, and even coffee and tea. Fun vintage clothing and accessories are available at Scavenger Hunt, while artistic, handcrafted handbags and jewelry are found in Silver & Beyond. A live music series takes place during the summer on Friday and Saturday nights from 7 – 9 p.m. After you’ve shopped, drop on the lawn around Fountain Square until you recover enough to return to our Lansing Bed and Breakfast. Please visit East Lansing shops for more shopping choices. August 21 is the start of the annual Michigan Renaissance Festival in Holly, just 90 minutes from our Lansing area bed and breakfast. The festival runs weekends August 21 through October 3, 2010, as well as the fantastic Festival Friday, on September 24. Experience the Washing Well Wenches at the Michigan Renaissance Festival. The Michigan Renaissance Festival is always a terrific event. Each weekend features a different exciting theme: there’s the Royal Ale Festival, the Highland Fling, the Buccaneer Beer Fest, Wonders of the Old World, High Seas Adventure, Harvest Huzzah, and Sweet Endings. Attendees will visit a Scottish Village, taste the best of the BBQ competitions, and learn what exactly a Beer Baron Brewing Brawl is. Intriguing, isn’t it? There will be a wide variety of interesting entertainment, such as the Washing Well Wenches, the Bocca Show, and the Zucchini Brothers. Story telling, juggling, and music await those lucky folks who wander over to the stage. For a complete list of stage shows, please visit the Michigan Renaissance Festival website. Enjoy a romantic weekend at our Michigan bed and breakfast while you attend the Renaissance Festival. Our historic and luxurious inn makes a lovely base for exploring the region.